Sometimes it occurs to me that I might possibly use too many game show references in blog posts. 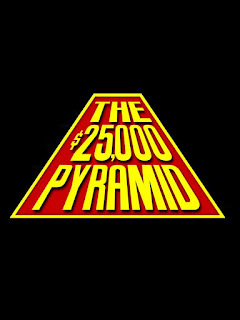 Then I ask myself, “Can one really use too many game show references?” Survey says… “No!” Today’s game show reference centers around the “$25,000 Pyramid” show from my childhood. I realize it’s now the “$100,000 Pyramid,” but I’ve never seen the inflated version. The current category is: Things That Just Work. The answers were provided by Allen, during our most recent phone call. While standing on a hill for better cell reception, Allen talked about how great it is that sometimes things just work. 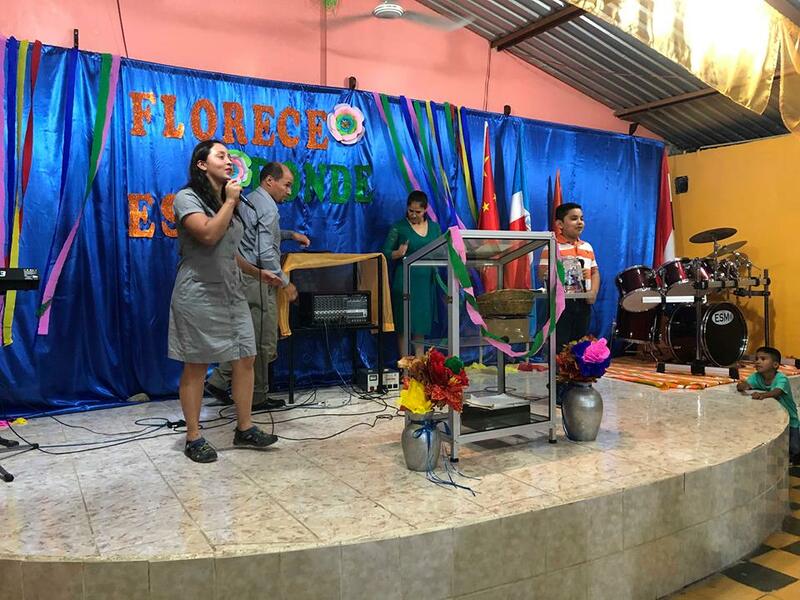 He discussed how much he enjoys going back to the States and talking about programs like Pastor Training School and the Motorcycle Program, which empower pastors to better serve their communities. He loves telling people about building projects, such as putting new roofs on churches so congregations can worship no matter the weather. Sometimes things just work. Allen also talked about the times when people say, “But we already know all of that. Why are you talking about it again?” The reason we’re talking about it is that it bears talking about any program that is really working. It’s difficult to choose a number one answer for this game show category, but we must certainly talk about sponsoring kids. That is a program that Allen described as “really, really successful,” and he didn’t throw in that extra “really” for no reason. The sponsorship program is having such a great impact that it can be difficult for people to fathom. The sponsorship program is feeding kids physically and spiritually. The sponsorship program provides children with a backpack, which allows them to attend school. They get tremendous Sunday school lessons. They get food to stave off malnutrition. They even get medical check-ups and are dewormed. The areas with the sponsorship centers are growing. Schools in the areas where the programs are running find themselves having to construct new facilities to accommodate all of that growth. They are having to bring in more teachers. Schools which previously had three grades in one classroom now have so many children that they have had to add extra classrooms, to handle their growing student population! Allen also wants to remind people that, in Honduras, the pastors are able to go into the public schools to teach Bible lessons, and they are able to reach a huge percentage of the children in the community this way! Some people who are already sponsoring children are unable to sponsor more at this time. Allen challenges each child sponsor to share information about this program with five friends. If only one out of five friends sponsors a child, the result will be phenomenal. Of the 2,700 children in all of the sponsorship programs, there are approximately 400 without sponsors. 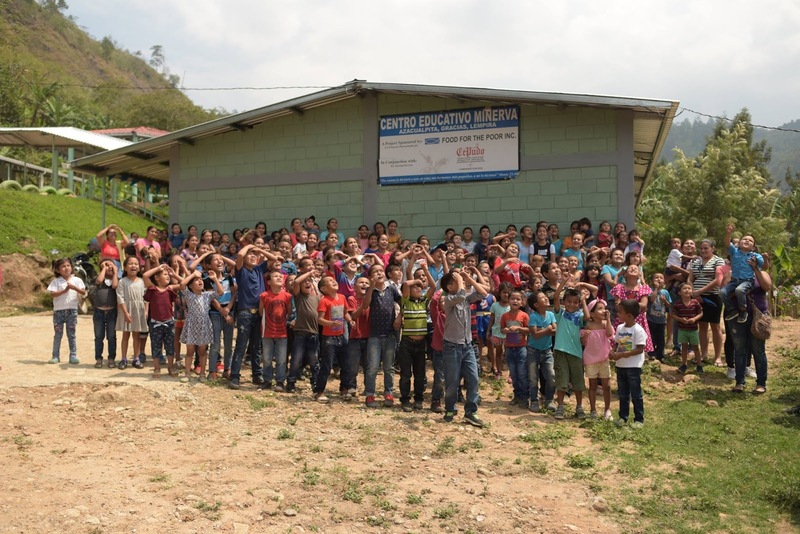 About 100 of those children are in the Manna 4 Lempira program and 300 are in the Sister Church programs. That’s all the time we have today, folks. 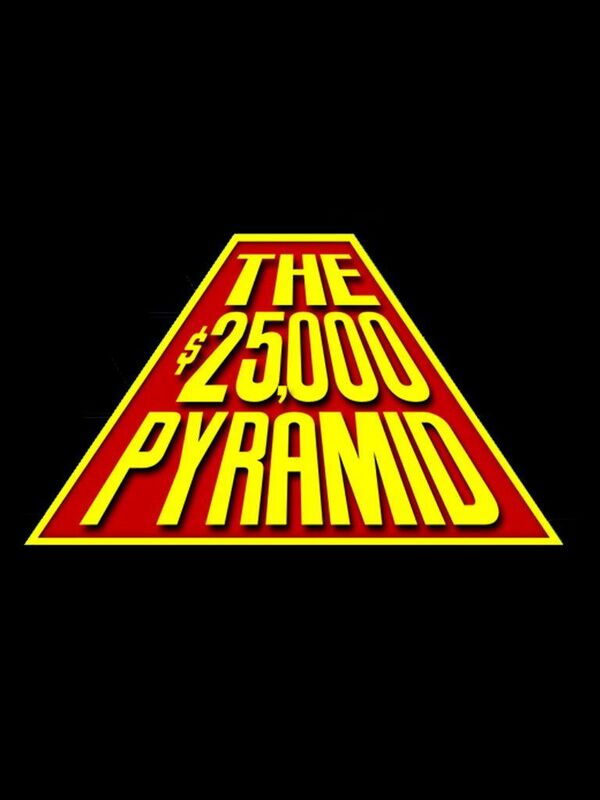 Thank you for playing the “$25,000 Pyramid, Missionary Edition”. Once upon a time, in a faraway land called Honduras, Trish began writing a book that probably doesn’t begin with, “Once upon a time”. . . but fingers crossed, because it’s really a classic opening. She has mentioned the fact she is writing a book before, but today you’re getting an update on her progress. 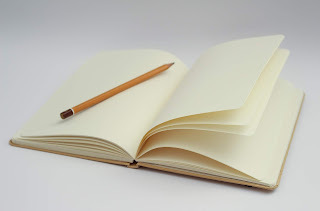 For most of last year, the book project was shelved because the would-be authoress was working on getting the new Sowers4Pastors website up and running and getting sponsors moved over to the new site. 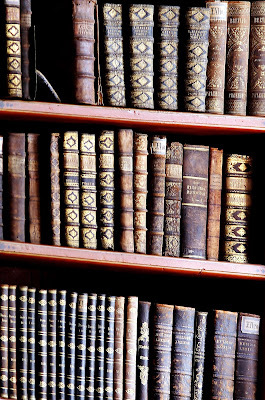 “Shelved” is code for sitting around collecting dust because she had no time to churn out a book. While the website work isn’t complete, the initial switch is coming to an end and Trish has been able to spend a little more time actually writing the book. 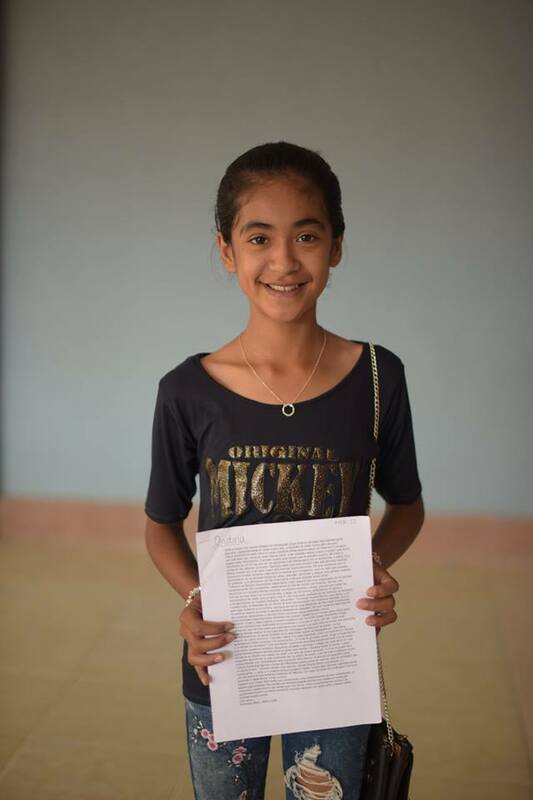 Much of the writing has taken place on airplanes flying back and forth between Honduras and the U.S. It was probably a much better use of time than attempting the crossword puzzle in the inflight magazine. 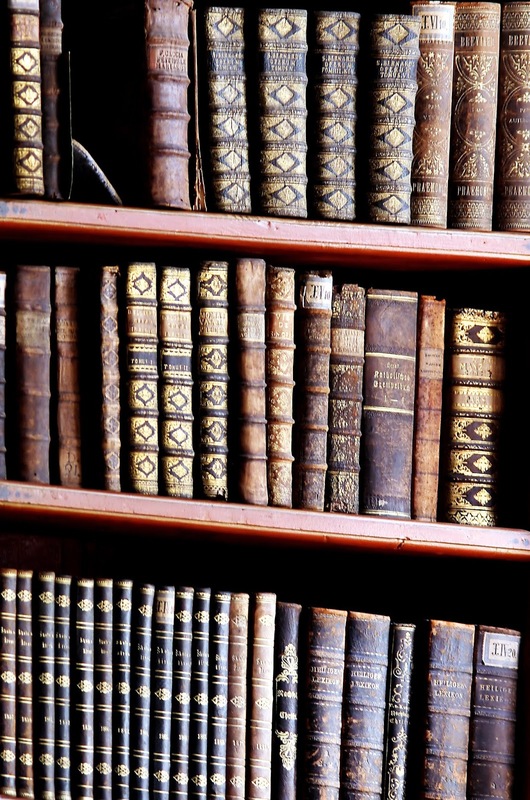 In this day and age when so many people are self-publishing, book publishing has changed. When you are a new author submitting a book proposal to a publishing house, they want to know that you bring a platform with you. “Platform” is code for a group of people interested enough in what you’re doing to potentially become future buyers of your book. This platform could be in the form of a blog. It could be an email list. It could be Facebook followers. Trish isn’t exactly a Kardashian when it comes to self-promotion and she’s not even Instagram famous. The sad truth is, Trish doesn’t even tweet. But guess what? If you’re reading this, you are officially in on the ground floor of Trish’s platform, though I’m pretty sure that’s an oxymoron. Still, you get the idea. 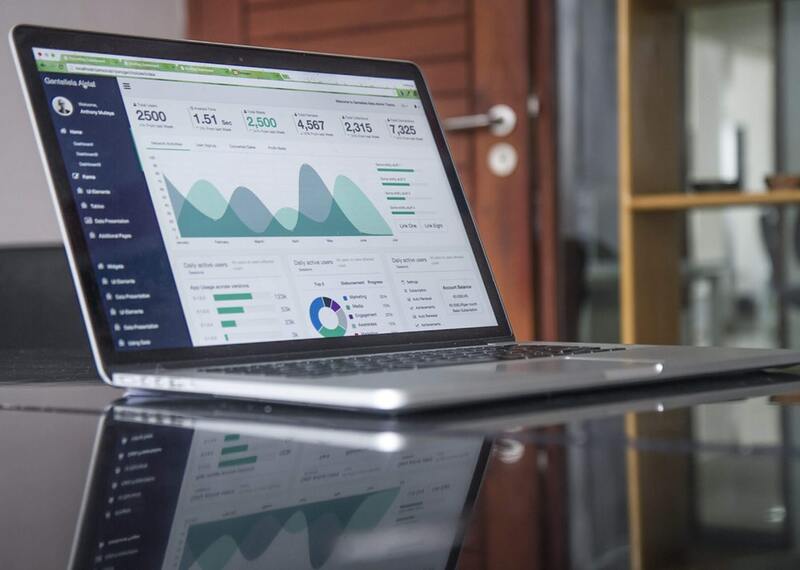 There are approximately 1300 people who have signed up to receive email notifications of these blog posts. That’s not a huge amount for a publisher, and it’s a downright embarrassing amount for a Kardashian, but you work with what you’ve got. And, what Trish has got is us. Trish rarely asks for favors and when she does she’s so polite you might miss it. So I’m asking on her behalf. If you receive emails notifying you of new blog posts, it would be most helpful if you could just click the link with the title of the post. So, if you're looking at this in an email right now, click where it says "Trish - the Social Media Influencer" at the top. That will open up the tab with the blog post on your computer. You don’t even have to read it! Just clicking the link will improve Trish's statistics. If you don't receive the blog posts by email, you can sign up for that in the right hand margin of this blog, where it says "Receive new posts by email." Another way you can help is to sign up for the newsletter - which is different than signing up to receive the blog posts by email. Newsletters are sent out approximately monthly. You can go to the Sowers4Pastors FB page and look on the left hand side of the page, beneath the cute little avatar of the family. There you will see a list of options. The last option on the list is “Newsletter Signup”. Now that we’re all officially social media influencers, it would be super helpful if you could ask to be added to the newsletter list. If you have multiple email addresses, you can even sign up for each address. This will all be worth it when we can say we knew her when. Who knows, she might even pose for selfies with us. For those of you who worry that the Sowers family never gets any downtime, you’ll be delighted to know that this past week they were lounging around sipping pineapple juice from glasses with little paper umbrellas in them. Hahaha! I crack myself up. Really, they’re doing things like buying new tires and having their vehicles serviced while they have a momentary lull between teams. I’m pretty sure they don’t even own any little paper umbrellas. 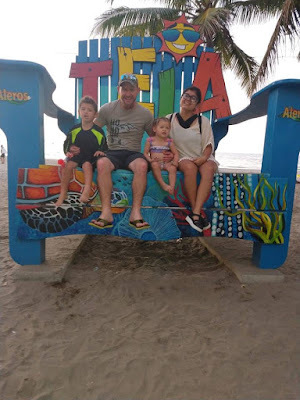 Seriously though, Russell and Iris did head to the beach in Tela Honduras for two days while the Hall family and Kelsea headed back to the States to renew their visas. It is nice they have time to be sure the vehicles are in good working order. Trish and Allen joked that the mechanics love them. The official Sowers4Pastors vehicles are expected to go on roads few vehicles dare to travel. It is their goal to keep the vehicles dependable enough to drive gringos around when teams are in town. 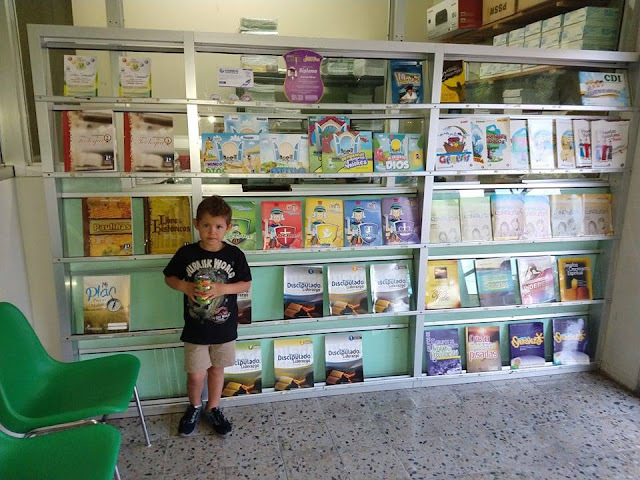 While Russell and his family were traveling back and forth to the beach, they also made good use of the trip by stopping off to purchase the next batch of Sunday school curriculum for use in the sponsorship centers. Trish brought up an interesting point that it is difficult for those of us who have not visited those centers to understand what it’s really like. 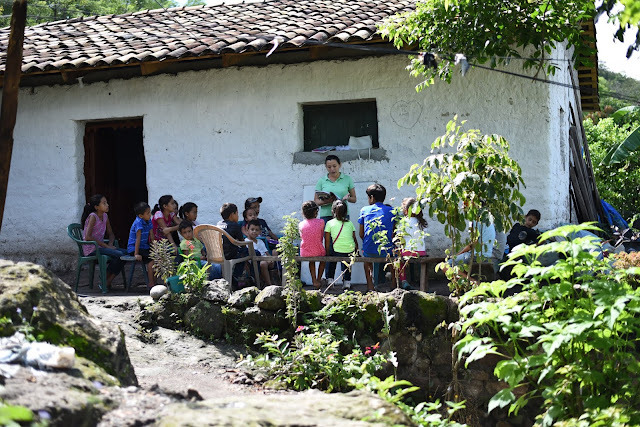 Up until very recently, the Sunday schools in most Honduran churches had no materials at all. Sunday school consisted of an untrained person with minimal education standing in front of kids with a Bible and possibly a storybook. There were no separate classrooms. Sunday school meant everyone from newborns to 18-yr-olds were hearing the exact same Bible lesson. That makes the flannelgraph lessons of my childhood look positively cutting edge! 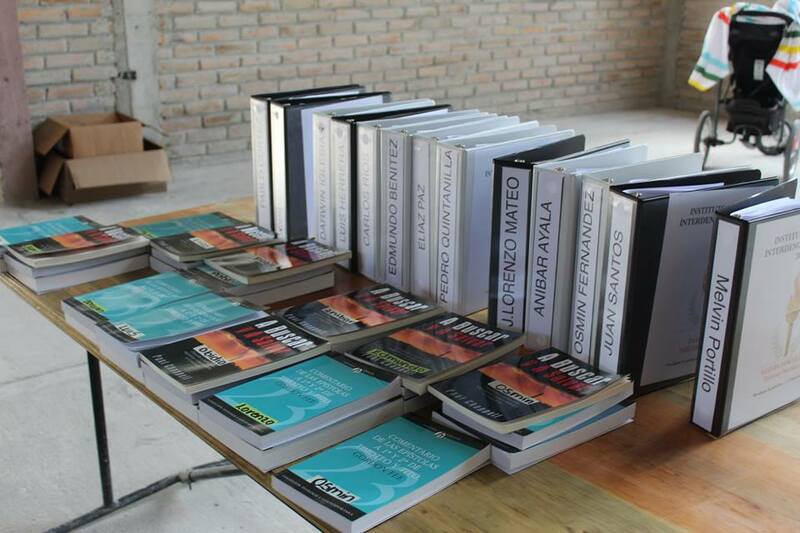 The curriculum for sponsorship centers is revolutionizing Sunday school for many of the churches in the area. Pastors are starting to separate the children into different levels for classes. They can only do that when there are enough separate spaces and enough teachers to make that possible. That’s something the sponsorship centers have helped make possible. They are using a curriculum created by a Honduran for use in Honduras, which is way more revolutionary than it might sound. When North American curriculum is used, lessons invariably make cultural references the children do not understand. Something as simple as an object lesson involving playing baseball or missing the school bus must be explained to the children. This curriculum offers relatable object lessons for Honduran children--such as having a chicken walk through the house, or grinding the corn you grew, to make tortillas. Each child receives his or her own consumable curriculum, specific to their age/grade level, which is a very big deal. Even at school, these children often do not have workbooks of their own. Now, they are able to study their lessons and color the pictures in their own books. And that is why Sowers4Pastors has already put in an order for a bunch more curriculum. Who needs little paper umbrellas when you have the satisfaction of changing lives? It’s back-to-school time! What? Well, it’s back-to-school time for the pastors in Pastor Training School. This year there are some exciting new developments. Allen explained that this year, there is an unexpected new trend. 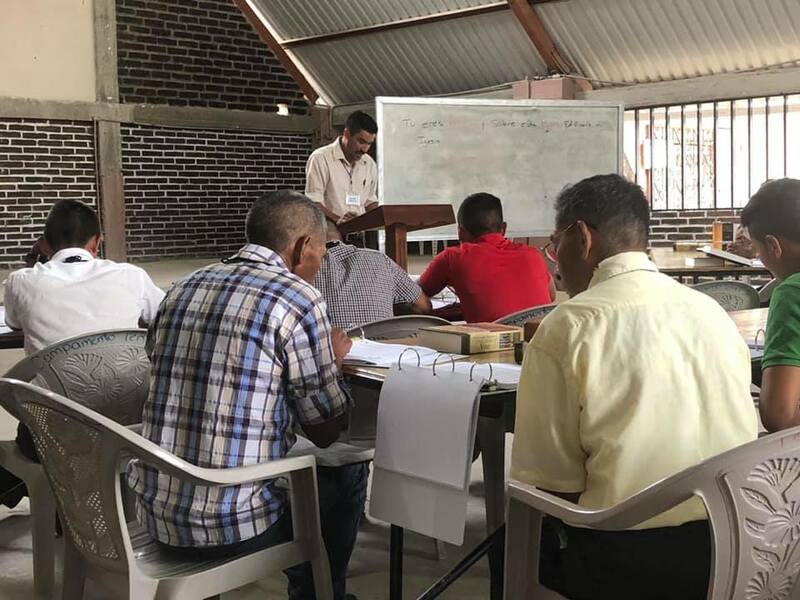 In the past, Pastor Training School has primarily been a place for pastors with limited educational backgrounds to receive formal training in how to fulfill the Great Commission more effectively. 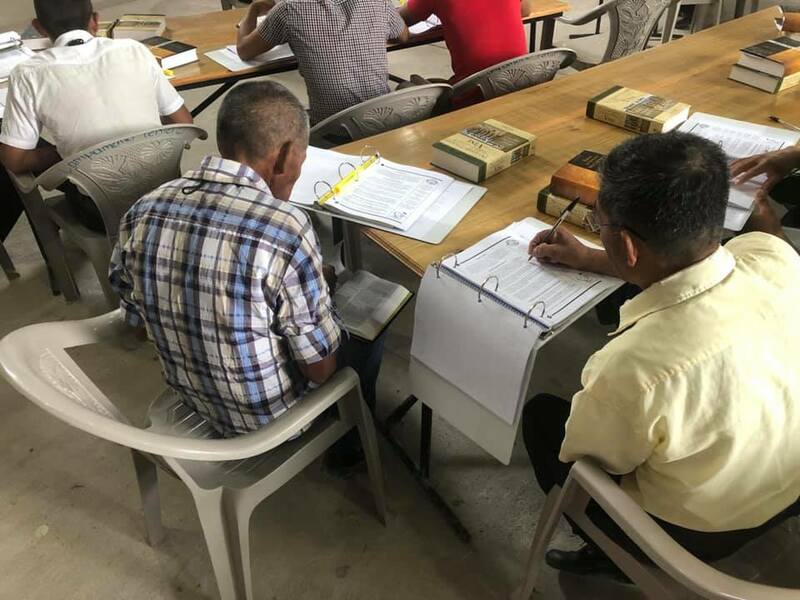 This year, several pastors with extensive training have also enrolled in the program. One of the students is a pastor with a Master’s Degree in Theology from a Honduran university. He has been pastoring for 30+ years and is a supervisor for his denomination. When he began pastoring, his denomination had no churches in this area. Today, he oversees seventy churches in his denomination. You might be wondering why such an established pastor would enroll for classes alongside people with no formal training whatsoever. The answer should delight you. After hearing sermons by some of the pastors who attended the training school, he knew he wanted that same training for himself. There are a couple of other new students who are supervisors within their denominations, with between 10-15 churches under them. They are also attending because they want the training to help them be better preachers. 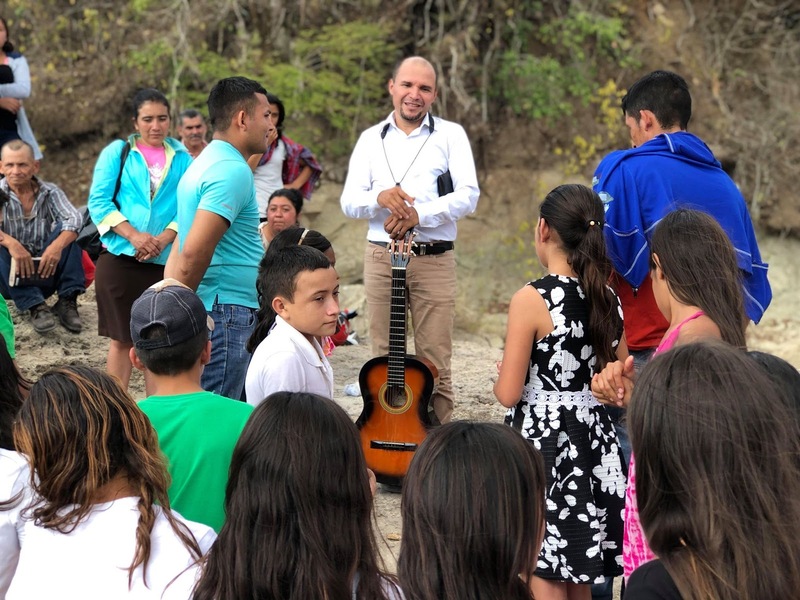 More and more of the program is being run by indigenous pastors, which we think is wonderful! It is always the Sowers' goal to work themselves out of a job, whenever possible! There is even a second training school, which is entirely run by Honduran pastors. There are more home visits and group study sessions throughout the week. 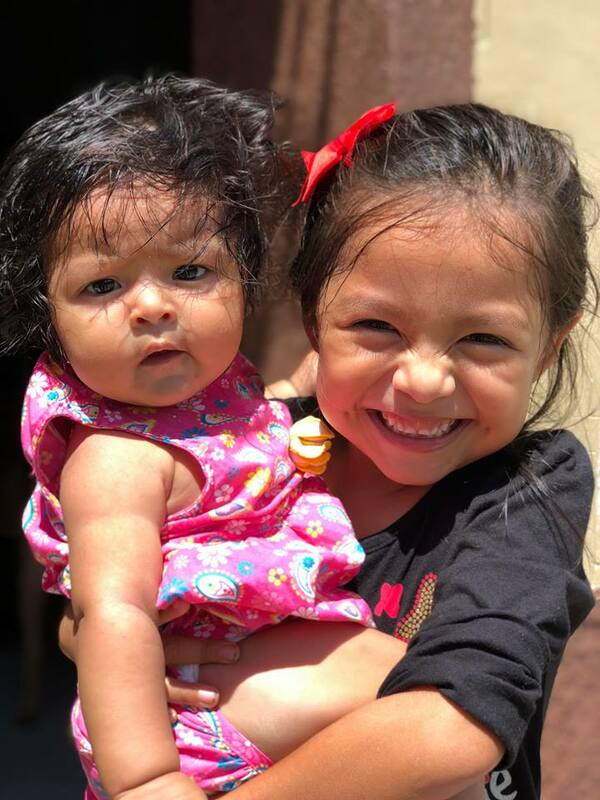 These are people with busy schedules and many responsibilities, but they are doing it because they know it to be important for reaching their communities for Christ. One of the recent graduates is also serving as the associate director at the main school. He’s coming alongside Clay to help him with the educational aspects of running the school. In short, the system is working! Graduates and upper-level students are standing up and assuming responsibility for helping their fellow pastors receive the sort of training that can make them more efficient and effective instruments of God. With the flurry of visiting teams, there were four construction teams on the calendar for Sowers4Pastors over the next few months, two of which were bridge-in-a-week projects. 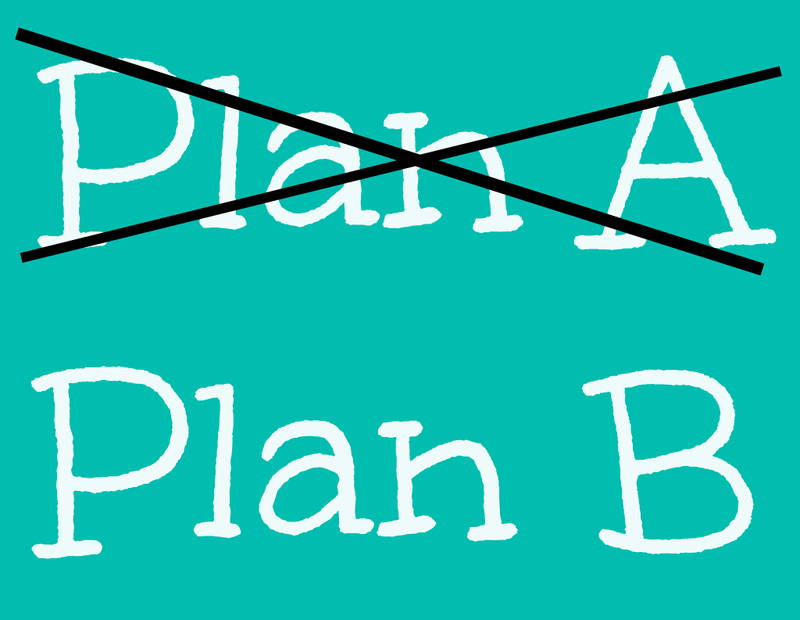 However, one of the most necessary skills for missionaries is the ability to pivot when it’s necessary to go in a new direction. So… PIVOT! There is now only one bridge-building project on the calendar, as one of the bridge projects has been replaced by a water tank project. 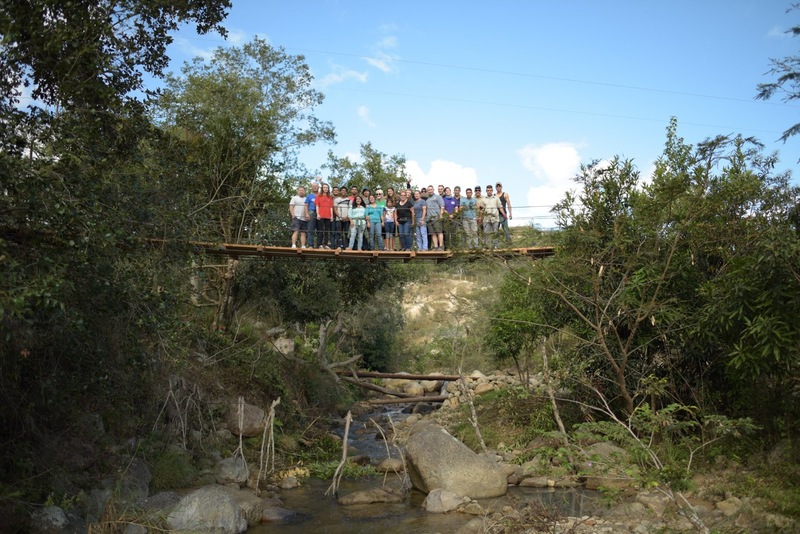 The bridge-in-a-week projects have been so popular with teams, that Allen and Russell have come up against the fact that they have built almost all of the bridges currently needed in the general area surrounding Gracias – to date they have completed 20 bridge-in-a-week projects. 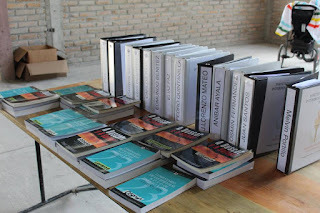 When selecting locations for team bridge projects, they have always stayed right in the Gracias area so teams could go back to the hotel each night. If they want to continue with the bridge projects in the future, it will be necessary for teams to go to a location and rough it by sleeping out. One of the planned bridge projects didn’t work out because Sowers4Pastors requires local government to contribute something toward the cost of a bridge. 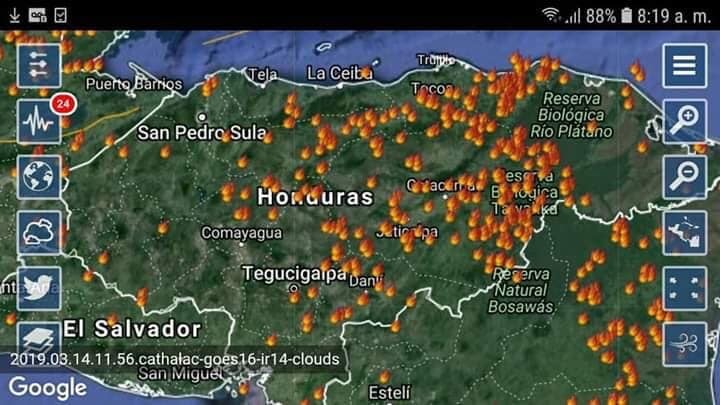 Sadly, this is not an election year in Honduras and elected officials aren’t as gung-ho about impressing voters by funding projects. Have no fear! The pivot is here! The town of Catulaca is the nearest town to the Sowers’ property. It is the area where most of the guys who work for the Sowerses live. The town has been having ongoing water issues, and this year’s super dry season has only worsened the problem. Currently, Catulaca only has one small water tank for the entire community. That tank is about the size of the Sowerses smaller water tank. This time of the year, water is coming in very slowly and the tank in Catulaca is running dry regularly. During normal dry seasons, the town’s water would be turned off for a few hours to allow the tank to refill. Residents are used to having a few hours without water each day. Now, they are fortunate if they have a few sporadic hours with water. Town officials have been in conversation with Sowers4Pastors about building a bigger tank. With a bigger tank, the town could do a much better job of providing water for their residents, because the water pressure would be higher, and houses at all elevations would receive water, not just those at the lowest elevations. So, instead of building a bridge, one of the upcoming teams will be going out with the Sowers’ crew to build a second, larger tank in Catulaca. 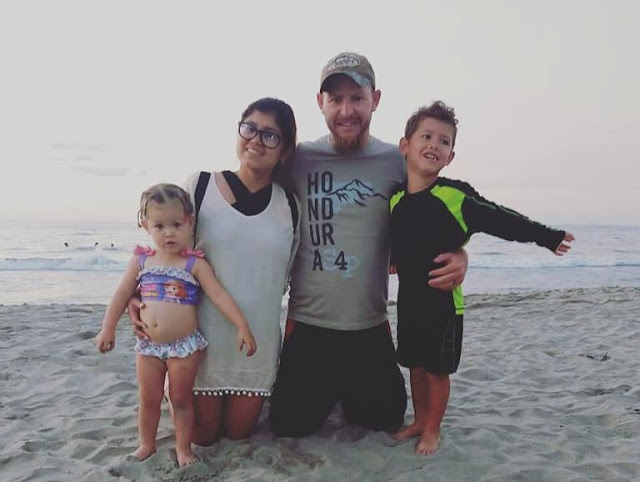 The Sowerses very much want to thank the team from Christ Church of Orlando for their willingness to change projects so close to the time of their trip! In the end, this “pivot” is truly a win-win proposition. The town has agreed to send up a percentage of the water from their system to the Sowers’ property. That will not benefit them this year because Russell and the crew will still have to put in pipes from the town’s system to the ol’ homeplace. Ultimately, this will be a tremendous benefit for the Sowerses. They currently share their supply with an individual and they frequently run into problems over how the water is distributed. You might say it’s a pivotal development. Earth, Air, Fire, Water - and a call for prayer! It was the Greeks who proposed the existence of five basic elements--earth, air, fire, water, and spirit. While Sowers4Pastors is diligently working with their surrounding communities to minister to their spirit, they are pretty limited when it comes to controlling earth, air, fire, and water. That’s a shame because the Honduran rainy season is wreaking havoc with the four physical elements. This time of year is always the dry season in Western Honduras, so some of the current challenges come as no surprise. But this year the dry season is more of a DRY season than in years past. Normally, the dry season comes in gradually, beginning in December. The rains gradually peter off while the cool December-February temperatures prevent the landscape from withering immediately. By the time it gets really hot, there is normally only a little more of the dry season to endure. This year, it was like God shut off the main water valve above Gracias and the rains stopped rather abruptly and early. The area is currently dry as a bone and they could have another two full months with no rain. The earth part of this equation is that there is now a thick layer of dust coating just about everything. The driest time is just beginning and there is already powder everywhere. Driving on the dirt roads, you can lose traction because of the depth of the dust! Fire is a very real concern. Unfortunately, it is still common in the culture for people to burn their fields. In an area where everything is forested, that means the Sowerses are extra vigilant and very concerned about fire. Once a fire starts, it is very difficult to stop because everything is so dry, and there is no water to spare. This is a big prayer request, for the rest of the dry season, which ends in mid-May. Trish says the air quality also seems worse than in years past. The smoke from all of the farmers burning their fields is always an issue this time of year, but usually it is much worse in the more populated areas, and less severe around the Gracias area. This year, the mountain which lies just across the valley from the Sowers' property is frequently not visible from their house. The good news is that it hasn’t been affecting Trish’s asthma very much. Sinus problems are rampant, however. That brings us to the obvious concern of a lack of water. Even the larger rivers are drying up. Everyone is running out of water earlier than in previous years. 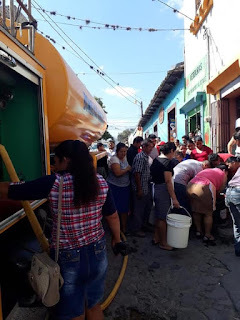 Some neighborhoods in Gracias are not receiving any water at all now, and haven't been for several weeks! 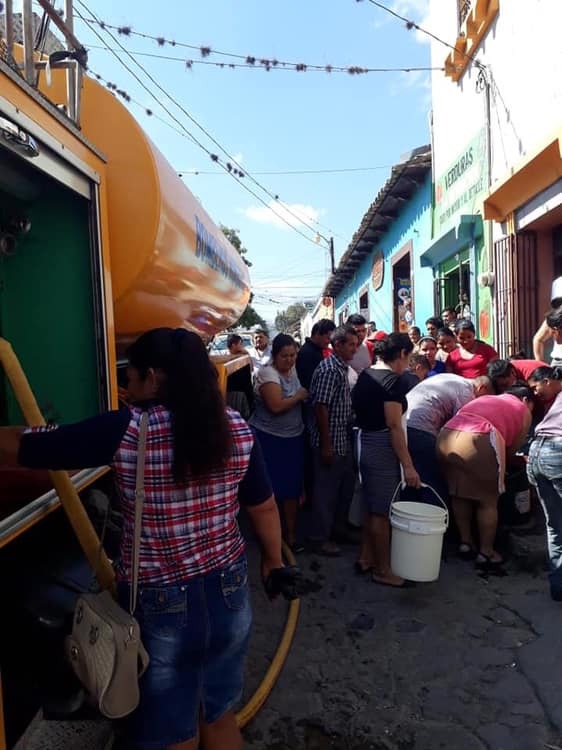 The town is sending in tank trucks filled with water and the residents are running out of their homes to fill their buckets. It is a serious situation. Residents are used to water being limited for a few hours a day, during the dry season, but this is more severe than that. As you may recall, the Sowerses constructed a second water tank for their personal water supply during this past year. They are so glad they did! As things stand, they don’t expect to get any more water, beyond what is already in their tanks, for a couple of months. They still have water and aren’t in dire straits at this moment. They are hoping their current supply will see them through, but they're not really expecting this water to last until the rains come, so they will buy water if they have to. Since a lot of you would probably add another physical life element (coffee! ), let’s address the concerns for the coffee farm. Trish said the coffee plants are used to having a cyclical dry season. They do not expect the extended dry season to negatively affect the coffee farm in a significant way. They may, however, experience some loss of younger plants and plants that are facing west and taking the worst of the heat. It's likely that the harvest will be less abundant this year, as well. Pray for rain! 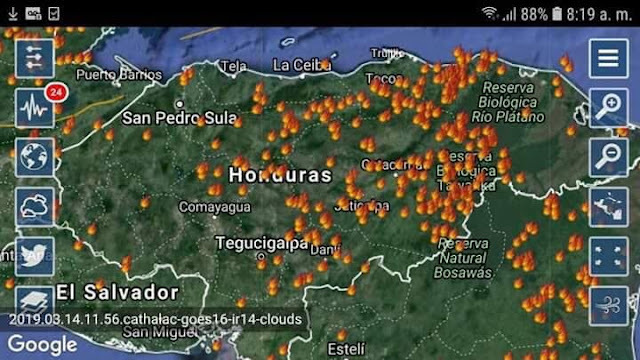 Pray that any fires would be contained and not endanger lives and properties! Pray for a miraculous extension of the water supply. Pray for limited damage to crops and livestock. 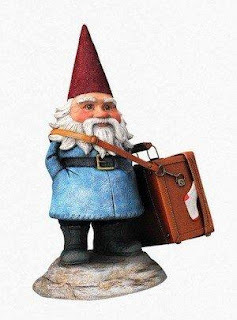 I’m about to hang up my gnome hat because today the knock-off Travelocity gnome is taking you to our final stop on the tour of sponsorship centers. Today, we’re visiting Tablon. Come along as we explore what makes Tablon special. This is the easiest center to get to from Gracias. While five churches make up this sponsorship center, the main church is right on the paved road toward Las Flores. The other churches are spread out over an area within 6 miles of that church. One of the locations that feeds into Tablon has no church, only a Sunday school program. The kids don’t often make it to the main center because of the distance. Kim Hall explained that the Manna staff meets with those groups separately and travels up to where they are. There Tablon program is one of the largest of the Manna programs; it is similar in size to the program at Mercedes. At the same time, the small sponsorship church that is farthest from the main Tablon church is the poorest community of all of our sponsorship centers. Tablon has the biggest disparity of income and education levels. “Talkative and curious” is how Kim described the people of Tablon. In the early days, many kids at the other sponsorship centers were afraid of the people with Manna 4 Lempira. In contrast, the kids of Tablon have always been curious about them. They like letter writing and building relationships with their sponsors. And that concludes our tour of the Manna 4 Lempira sponsorship centers. Thank you for making the trip with us.